To quickly build a portfolio of landscape images that you are happy with and which has longevity, depends much less on having the latest and greatest camera than it does on hard work and understanding the best strategies. Photographers spend countless hours learning the craft of landscape photography and the more productive and focused these hours can be the quicker and better the results will be. Working smart as well as hard will reap rewards. Nothing is as important to landscape photography success as this. Landscape photography is ninety percent hard work in the field. (I just made that statistic up, but it sounds about right!) It takes passion, persistence and effort to repeatedly visit locations at the optimum time for good light. It may mean eschewing many Sunday morning lie-in’s by getting up at 3.00am and driving two hours to location so you can be there before sunrise. It may mean staying on location in the freezing cold till well after sunset. If you like astrophotography you may have to stay up to the small hours of the morning. Some locations require you to hike for hours. You may get soaked by rain or surf, baked in the sun or spend hours standing freezing in the snow. You may have to wait for several boring hours for that magical burst of light to finally strike that distant mountain peak. If you want to sleep in, have a nice breakfast then wander around with your camera snapping a few shots in midday light than you need to try street photography because landscape photography is not for you. Beautiful morning light over Honeycombes beach. Failure is the constant companion of a landscape photographer. No matter how careful your planning or how great the location, we can often be rewarded by lousy light, cloudless skies and a memory card full of disappointing photos. At other times, the conditions may be great, but we somehow fail to get the right composition. It’s too easy to screw up your timing so you arrive with no time to prepare. The resulting frantic dash to try and find a good composition before the magic light ends is an often-walked road to failure town. Failure is just an excuse to return to the location and try again. Every time you return you will get different lighting conditions and more experience of the possible compositions. Eventually, careful planning, persistence and a dash of perfect light will result in great photos that will make everything worthwhile. And you don’t need a memory card full of ‘keepers’ – all you need is one perfect shot from a location. That one perfect shot will keep the fires burning. The point is that sometimes you need sheer bloody-mindedness to keep going out again and again despite the past failures because you can’t make these images in your lounge or studio. 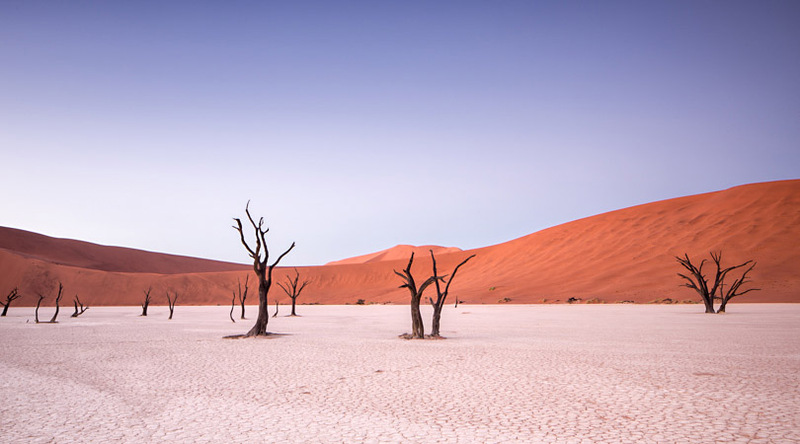 Landscape image of deadvlei in namibia with soft morning light. Looking back at my time learning landscape photography, I realise I wasted countless hours trying to get good landscape images in some unusual and lesser travelled locations. I was learning, and I was outside having fun, but I have virtually nothing of value in terms of actual portfolio quality images to show for most of these excursions. 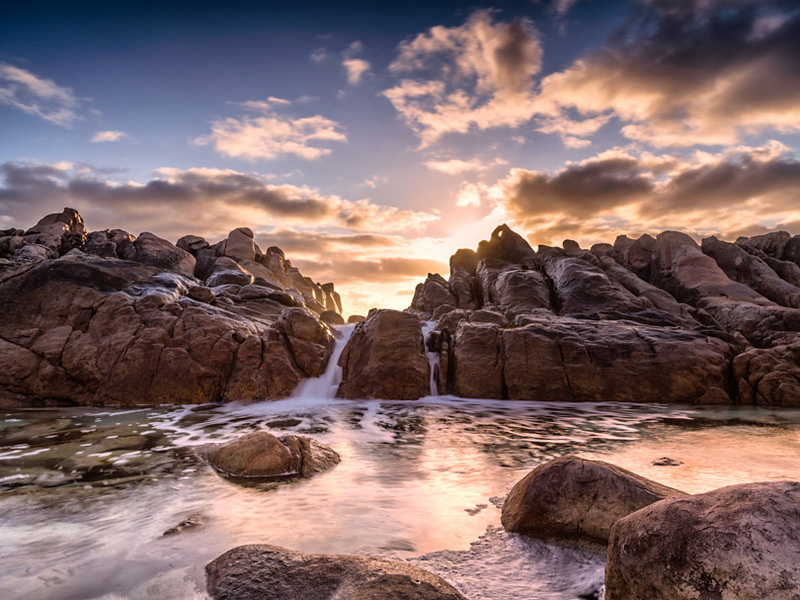 The quickest way to build a beautiful landscape image portfolio is to photograph beautiful landscape locations. It is true that many locations (particularly the more iconic ones) have been visited by thousands of photographers who have shot similar scenes and many photographers will look down on the idea of visiting ‘icon’ locations. Don’t let this stop you. Take the iconic photo, put a notch in your camera lens then go back again to look for a different composition or different lighting conditions. You will be learning but you will also be getting nice images which will be encouraging and confidence building. If you live close to some nice locations visit them often. Take images in different light and weather conditions and scout around for different compositions, use different focal lengths and then branch out into lesser known locations nearby that may offer opportunities. Another reason for shooting well known locations is that the images will be more readily associated with a locale by others, giving the viewer a connection to the image that they may not otherwise get. This could prove useful in the future if you plan to sell prints. Tourists and locals alike will buy images of places they have visited or that are associated with the place where they live. If you take an overseas trip and get the chance to take some nice landscape images would you like to have images from the well-known hotspots or from unknown, unrecognizable locations? 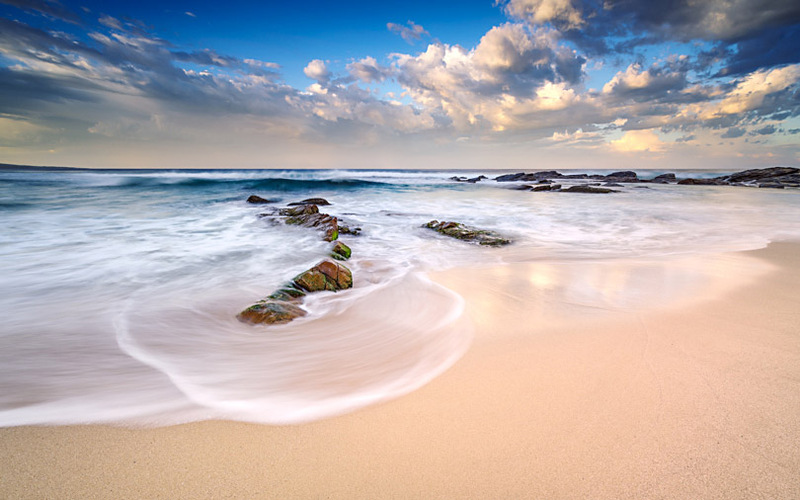 The average beach shot could frankly look like it was taken anywhere in the world unless it has a recognizable geological feature. 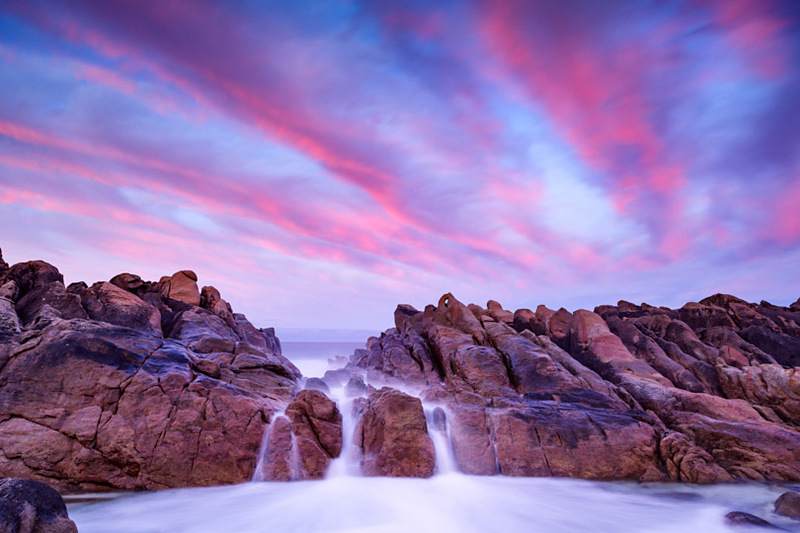 Striking sunset image of wyadup rocks wave pool. I’m not even sure I could describe what my style is but when I compare a gallery full of my images to those of another photographer I find that they have a reasonably consistent ‘look’. I’m not sure how this happened but it did. It comes from the way you see a scene when on location, the natural sorting process of selecting images for processing and the processing techniques you use. Over time you will probably end up with a library of images that appeal to you and are organically sorted into a coherent style. You can refine this style further by only displaying images that work together stylistically when you put together online portfolios. The more you shoot the more you will refine what works for you. You will retire old images you are no longer happy with and bring in images that speak to you and this sorting process will continue for as long as you are still shooting. 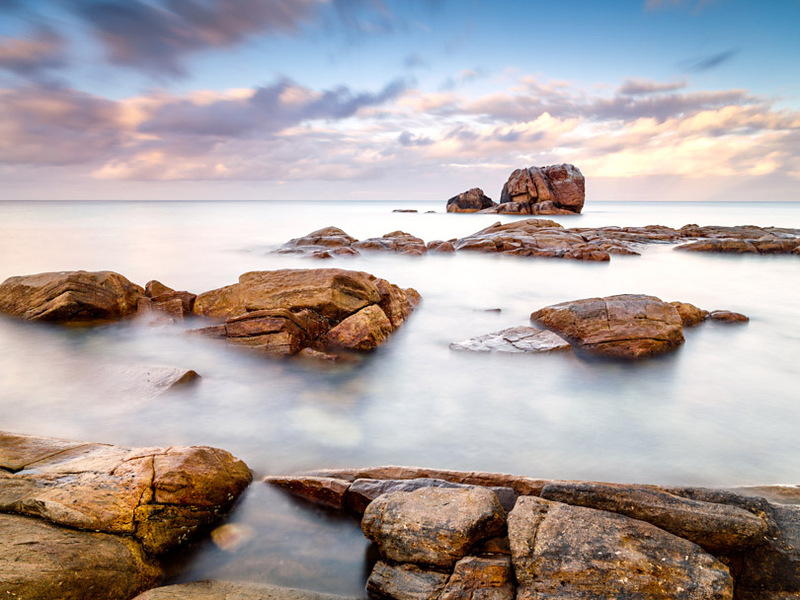 Long exposure image of Gannet Rock, Dunsborough. Modern digital cameras are so good that you can get top-notch landscape results from virtually any interchangeable lens camera whether it be Micro 4/3’s, APS, FF or MF sensor size. 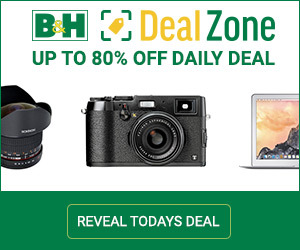 It is impossible to buy a ‘prosumer’ camera that can’t be used for landscape photography these days. A good landscape image is mostly about lighting and composition and subject. Many of the high-tech features of modern cameras are also irrelevant for landscape photography. What you need is a good sensor, some weather resistance, a good LCD screen for live-view (preferably tilt-able) ad you are good to go. Other features are mostly just gravy. An example of a camera that has some other useful but not essential features is Pentax’s K1 which has a built in intervalometer, bulb timer, GPS and an astro-tracing IBIS sensor. But (you knew there was going to be a ‘but’ didn’t you) landscape photography is a genre that lends itself to doing prints. What landscape photographer doesn’t like to have their favourite image hanging on their wall? My home is full of them. Like many landscape photographers I started to hanker after huge prints, especially as I started getting better results. My first serious camera was the 12mp 5D, then I used the 21mp 5D mk2 and 5D mk3 camera’s which in their day were considered high resolution. I now use a 50mp Pentax medium format camera but there are other much more affordable options, particularly cameras that have a 36mp sensor that are now widely available on the used market for very reasonable prices. It is no coincidence that when professional landscape photographers shot film (in fact many still do) they preferred medium format or even large format – the ‘high resolution sensor’ equivalent. You need a large file size to print large. 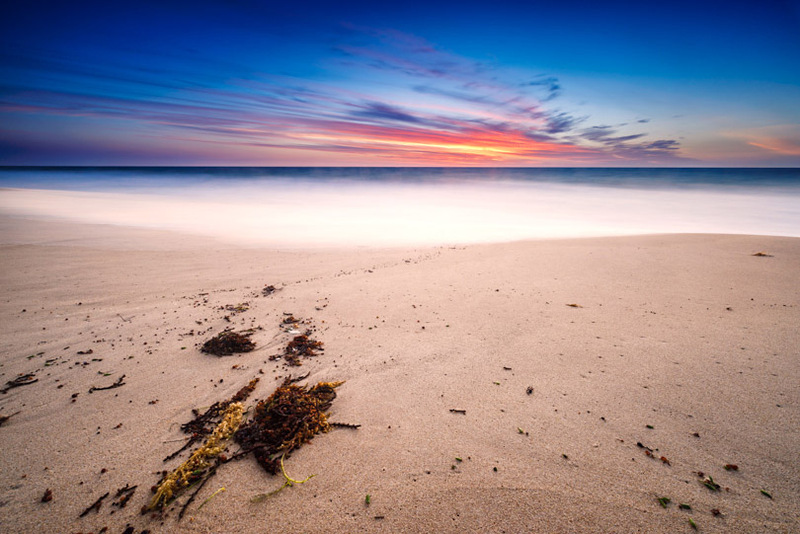 It is of course true that you can print lower resolution images at large sizes if the subject is dramatic enough and the viewing distance is not too close, but it is still hard to ignore the image degradation that will happen when up-sizing your files. Landscape photographers like nose-to-the-print sharpness in their large prints. When I first started shooting a 50mp sensor camera I immediately wanted to revisit every location I’d ever been to and re-shoot it. I have done just that for many locations. My main point about resolution is that even if you don’t need the large file sizes immediately, having them in some sense future proofs your options. I have some old images from my 5D that I like but they are not printable to the sizes I desire now. They look fine as a web or social media sized file or even a smaller print, but I wouldn’t ever sell them as a decently sized fine art print and they are even borderline for image licensing at stock libraries. Having large file sizes now means that in years to come you have more options for use. You may only ever get to certain locations once (particularly if you must travel internationally for them) so the more precious pixels you can collect per image the more useful they will be in the future. I have razor sharp images hanging in my home now that are 1.2m long and they are the most satisfying realization of my passion. I also sell framed prints at a gallery in the large sizes and supreme quality that makes them a high-end product. They were made possible by using a high-resolution camera. 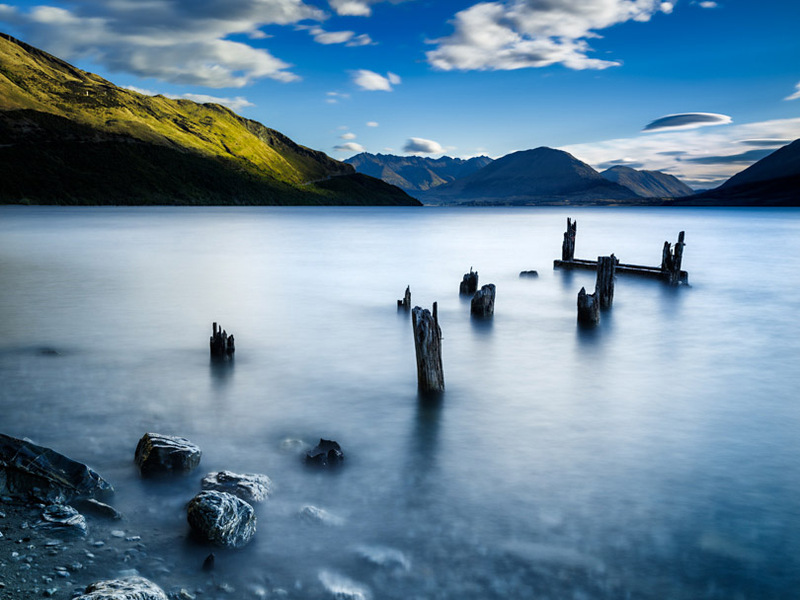 Derelict jetty remains in Lake Wakatipu New Zealand. A tripod is essential for Landscape photography. If you are not using one for this type of work you are only pretending to be a landscape photographer. You can’t get the amazing low light, long exposure results at sunrise or sunset unless you use a tripod. Even when the light is brighter, and it may technically be possible to get fast enough shutter speeds to handhold, don’t. Using a tripod and the live view of your camera enables you to be methodical, paced and careful about your shooting. Trust me the results will speak for themselves. Whatever you do don’t buy a cheap tripod. It is cheaper to get the right legs up front than upgrade through a series of unsatisfactory models. Tripods from Induro, Gitzo, Manfrotto, and Really Right Stuff are very good and there are other brands also producing very high-quality units. Carbon fibre legs are the way to go for weight and cold weather comfort. Get one that has legs that are individually adjustable for height and angle. Make sure the tripod is taller than you think you will need as you will often need to extend legs to adapt to uneven ground. You may also want to consider getting a second smaller travel style tripod for longer hikes or for using a second camera simultaneously (for time lapses or additional long exposure frames). It is also important to pair the tripod with a solid, high-quality ball head that has an Arca Swiss style quick release clamp. Fit an Arca Swiss camera plate to your camera (preferably a L-plate for easier vertical compositions) such as those available from Really Right Stuff or Kirk. By following these principles I am confident that anyone getting starting in this most challenging of photography genre’s, will be able to make a solid and confidence building start to creating a fine portfolio of images of our amazing planet.